In 1910, 458,000 Americans owned an automobile, with mass production and increased affordability, ownerships grew to 26.5 million in 1929. Widespread automobile ownership resulted in the popularity of a new leisure activity—motor touring. States and municipalities realized the opportunity for increased revenue by attracting these tourists to their communities. Connected by the Lincoln National Memorial Highway and known as ‘Lincoln Shrines’, the state of Illinois developed and promoted its historic Lincoln sites and extended that development to Coles County. Local community members recognized the value of preserving the site of Lincoln’s parents’ farm and the place where Lincoln last visited his stepmother before leaving for Washington, the Moore house. By collaborating with the state and the Civilian Conservation Corps led by the National Park Service, the local community succeeded in their goal of preserving the community’s link to the national story. The national significance of the Thomas Lincoln farm did not go unnoted by the local community. 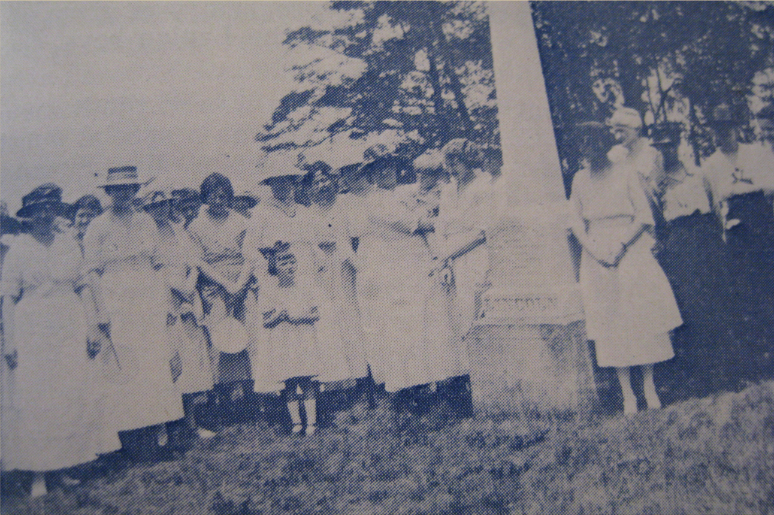 The local chapters of the Daughters of the American Revolution installed a marker at the site in the early 1920s while the heirs of John Johnston Hall, Sarah Lincoln’s grandson, still owned all 120 of Thomas’s original acreage. 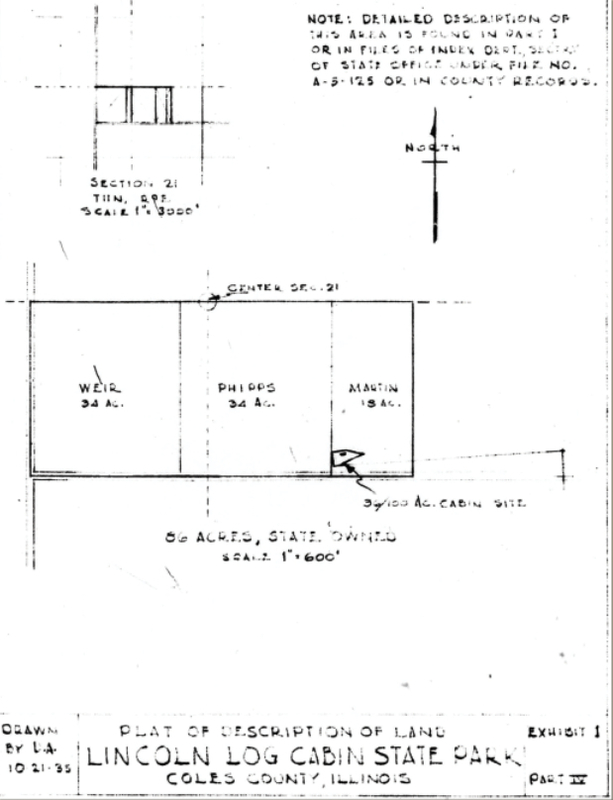 Upon John Hall’s death in 1909, the land was divided among his heirs in four parcels. One of these heirs, Squire Hall, died in 1927 and his 34-acre tract came up for public auction. On behalf of the Charleston Chamber of Commerce and the Mattoon Association o Commerce, Benjamin Weir purchased the land for $1800.00. Weir and his wife Lotta held the title in trust until 1929 when the state purchased the land. The state eventually acquired 86 of the original 120 acres with the last purchase made in 1930. Community organizations not only supported the preservation of the Thomas Lincoln farm, but they acted when necessary to make the project a reality. The Chambers of Commerce took financial risk, and the Sally Lincoln and Governor Edward Coles Chapters of the DAR kept up a campaign for preservation, eventually taking on the task of furnishing the reconstructed cabin. Other organizations such as the Abraham Lincoln Memorial Highway Association worked on a broader scale, incorporated in 1929 with a mission to connect ‘Lincoln Shrines’ by way of the Lincoln National Memorial Highway through Kentucky, Indiana, and Illinois.